The BVRLA and its members are taking action to help cut down on vehicle terrorism as they support a new national police campaign calling on the public to report anything suspicious. 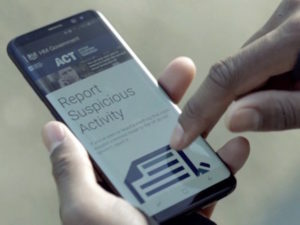 The latest phase of the ACT campaign urges the public to report any suspicious activity. The second phase of the Action Counters Terrorism campaign from the National Counter Terrorism Policing HQ campaign outlines how it is more important than ever that everyone plays their part in tackling terrorism, as the head of UK Counter Terrorism Policing reveals that more than a fifth of reports from the public produce intelligence that is helpful to police. The BVRLA is supporting the campaign by looking to increase awareness and vigilance amongst employees and customers of the vehicle rental sector of the risks of vehicle terrorism – identified by the association as a key challenge for 2018. Last year saw a spate of terrorist attacks where rental vehicles were used as ramming weapons to cause death and destruction in the UK and around the world. Since then, the BVRLA and its members have been working closely and more frequently with law enforcement organisations and government to identify and agree tactics to counter the terrorist risk. The BVRLA – which was recently accredited by the National Counter Terrorism Security Office (NaCTSO) – is now delivering its ‘Project Griffin specialist counter-terrorism awareness training free of charge to both members and non-members operating in the rental sector. The training has been developed to increase vigilance and provide guidance as to how to better protect their community, customers and staff.